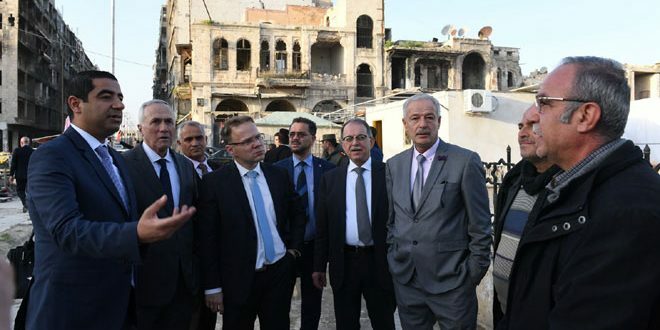 Aleppo, SANA – German parliamentary delegation visited on Thursday the city of Aleppo and inspected the great scale of destruction caused by terrorism and the efforts exerted to rebuild the city. 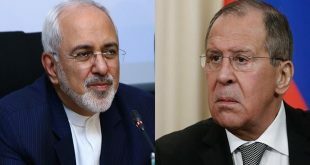 Members of the delegation also toured the residential neighborhoods of Aleppo and met its citizens who talked about the difficult circumstances they faced during the past years of crisis as a result the unjust siege imposed by the terrorists. 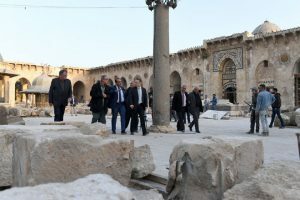 Governor of Aleppo Hussein Diab briefed the delegation on the history of Aleppo saying that it is one of the oldest inhabited cities in in the world. 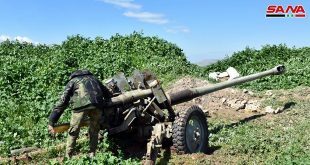 He added that Aleppo now is the hub of the Syrian industry and there were systematic destruction imposed by terrorists to destroy and loot its industrial facilities. For his part, the head of the delegation Christian Blex said that most of the German people know Aleppo but does not know the true picture of the crisis and the ongoing war. He went to say that terrorism is a threat to all humanity and that cooperation is necessary to combat it. The parliamentary delegation visited Aleppo University Hospital and listened to General Director of the hospital Dr Ebrahim Hadid who talked about the condition of health institutions, the service provided by the hospital and the bad impact of economic sanctions. The delegation also visited the 10th Women and Family Festival organized by businesswomen committee at Aleppo Chamber of Commerce. 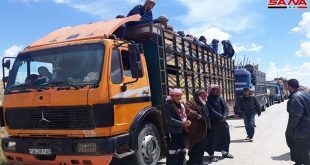 They reviewed the showcased goods and expressed their admiration for Syrian women’s skill participating in the event.